Exciting video footage of the next generation T-50 fighter jet as well as a number of other high performance Russian aircrafts. In August 2016 the Russian MoD published a video footage of the PAK FA Sukhoi T-50 fifth-generation fighter jet to commemorate Russian Aerospace Force Day. The super stealth fighter jet reaches a max speed of 2,440kmh with an astounding battle range of 3,418 miles with maneuverability and combat characteristics better than U.S. made F-22 Raptor and F-35. Compared to the JSF, the T-50 have superior maneuverability but it can also travels at a 30% higher speed with a range over 2,000 miles farther. 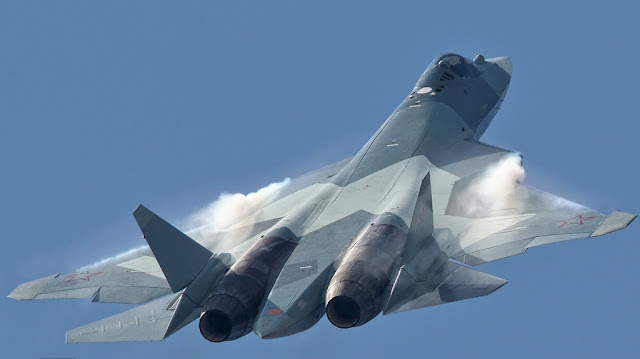 The amazing video footage provided by the Russian MoD features not only the Sukhoi T-50 fighter jet, but also highlights of MiG29KUB naval fighter, Yak-130 advanced jet trainer, Su-35S fighter, Su-33 naval fighter, Tu-95 strategic bomber as well as the Russian Knights and Swifts aerobatic teams.